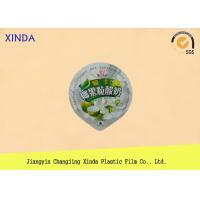 Home Companies Jiangyin Changjing Xinda Plastic Film Co., Ltd.
We have more than 100 sharps die cut mold for your choice. 1. With ample repertory of raw and processed materials. 2. 20 days fast production Time. 4. Any doubt and question just send message to Mengtao (xumengtao99@aliyun.com) . He will kindly talk with you within 8hours.